The XL2411P has been chosen as the tournament monitor of PGI 2018. ZOWIE strives to provide e-Sports professionals and enthusiasts with the best equipment to suit their personal preference, allowing them to focus on nothing but their performance in-game. 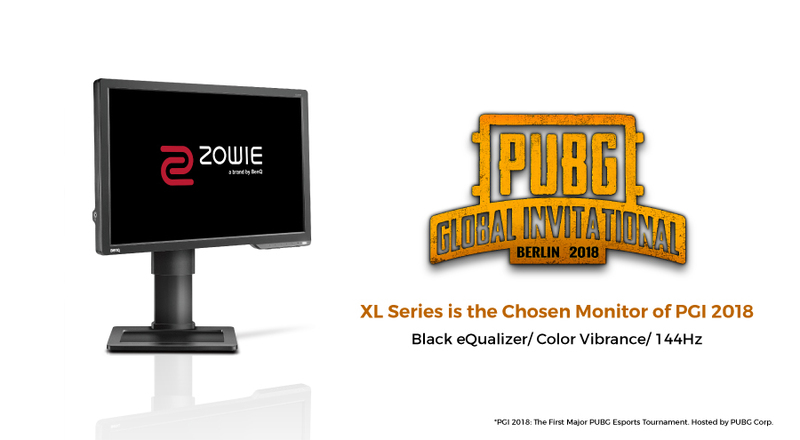 The ZOWIE monitor was chosen for this event which is the first major international tournament organized by PUBG Corporation and will feature the top 20 teams from around the world competing to win a piece of the $2,000,000 prize pool, the largest to date for PUBG. ZOWIE is a brand dedicated to the development of the best competitive gaming gears available that compliment eSports athletes’ combating performance. From 2015 on, ZOWIE brand was acquired by BenQ Corp to represent the company’s eSports product line that delivers truly competitive experience and enjoyment.